A few weeks ago while waiting to pick up my older kids from a youth group activity at church, I witnessed something that prompted me to compile a list of manners that I hope to pass on to each of my kids by the time they turn 18. Hoards of teens were leaving our church auditorium at the close of an event. The evening had ended with a buffet style snack bar that included all the usual suspects: donuts, cookies, chips, brownies, and an Everest amount of red dye 40. The teens were encouraged to grab a plate and dish-up on their way out the door. Not surprising, they were all carrying out plates of snacks piled high. The first wave of partygoers came flooding out of the exit, balancing plates piled with so many treats that handfuls of food were actually spilling off and onto the ground only to be trampled on by the next wave of food hoarders. By wave three, something began to change though. Teens were leaving with only a few items on their plates. Eventually, the auditorium emptied and the last remaining kids came out carrying only a cookie or a glob of brownie scraped from the bottom of a pan. In making a desperate grab for as many goodies as they could, the first half of teens had left only scraps for the last half. Hunger became the collateral damage of poor manners that evening. The obvious waste of some left others in want. While I stood there getting more and more disappointed, I also began to wonder if so much of this sad social experiment was simply the fallout of ignorance. Did one generation simply forget to teach manners (whether in word or deed) to the next generation? And if so, will rude and selfish behavior become the expected norm from here on out? I don't know the answer to those questions. No matter. 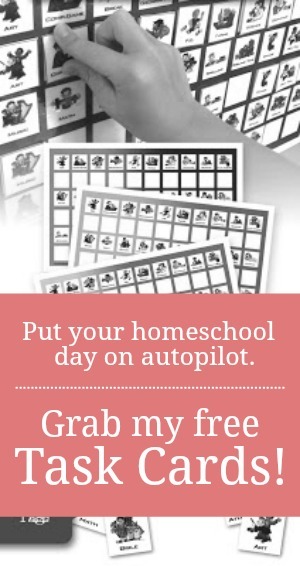 I do know this, however: I want something different for my kids. I want them to "consider the interest of others ahead of their own." (Phil. 2:4) "Please" and "thank you" are no-brainers and should be used liberally by all. But they're not enough. Good manners and proper social etiquette need to go beyond platitudes. Manners/etiquette are never about doing-all-the-right-things to look good. Manners are about serving others. When a person knows how to act in every social setting, they put others at ease. They can focus on ministering to those around them with hospitality, friendship, and kindness. Learning and using good manners is a choice to love others in a practical way. And have compiled a list of 100 manners I hope to teach all of my kids before they turn 18. I'm on a crusade to bring back public and private politeness. Want to join me? 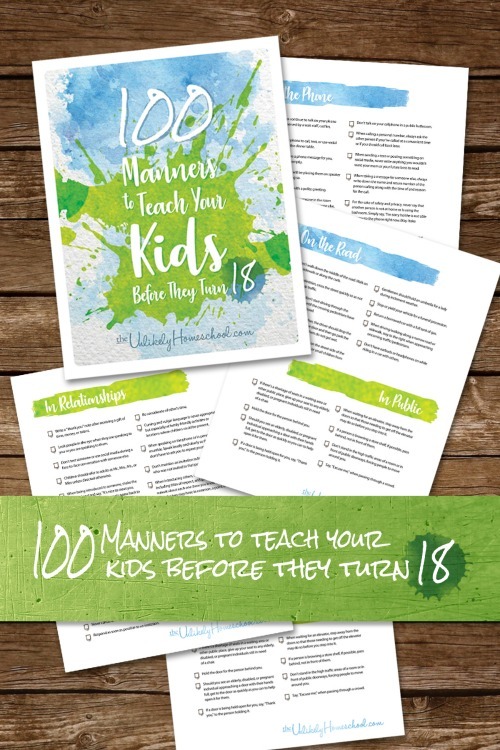 Grab a copy of my 100 Manners printable pack and get started today!